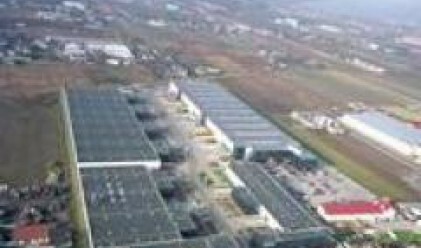 Belgian real estate developer Liebrecht&wooD, which is conducting 120 million-euro investment in a retail park located next to the Bucharest-Pitesti highway, has announced that it intends to open one or two more Romanian outlet centres, and is looking at Brasov and Timisoara in this regard, reports zf.ro. "I think in 3 or 4 years' time, we will have opened one or two more outlet centres, in either Brasov or Timisoara, or in both cities," Johan Rogiers, managing director of Liebrecht &wooD Romania, told ZF. The Belgians will invest 120 million euros in constructing the West Park retail centre, which will include an outlet centre called Fashion House, a Kika furniture and interior design store, a Hornbach store selling with gardening products and construction materials, as well as a store of Technomarket, an electronics and home appliances retailer. The park will be located 13 kilometres away from Bucharest, on the Bucharest -Pitesti highway and will cover a total surface area of 250,000 square metres. It is scheduled to open in the autumn of next year. The outlet will sell products from over 120 national and international brands including Nike, Mexx, Calvin Klein, Puma, Timberland and Tommy Hilfinger. The value of the construction, excluding the land, is estimated to be around 38-40 million euros, but will not be fully established until completed. Leases will include a fixed rent and a rent in form of a percentage of the tenant's turnover. However, company representatives refused to specify the rent of the available retail space. The manager of the Fashion House outlet is British firm GVA Grimley Outlet Services, which already manages three centres in Poland. "In the first year we are expecting 1.3-1.6 million visitors, with Fashion House having a potential 6 million clients over an approximately 90-kilometre radius," said Brendon O'Reilly, a partner with GVA Grimley. The outlet centre concept means that products are sold at 30-70% lower prices than in other stores, as they are either surplus products or items from older fashion collections.